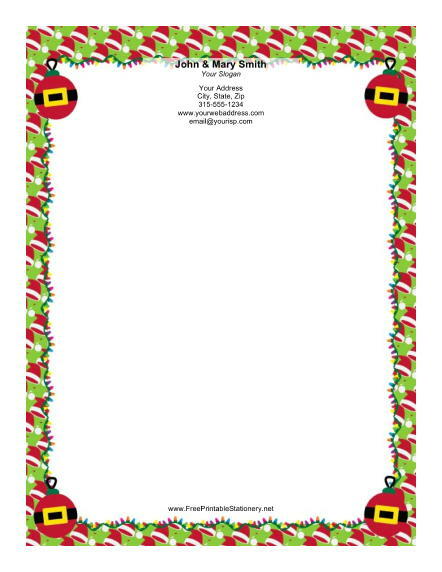 A quartet of colorful ornaments decorate this Christmas stationery. The ornaments are surrounded by a border of red and white Santa hats. A rainbow of Christmas lights sets the border apart from a simple white background. Choosing a holiday border for letters can be tough, but these ornaments and hats will add a fun touch to any Christmas message.